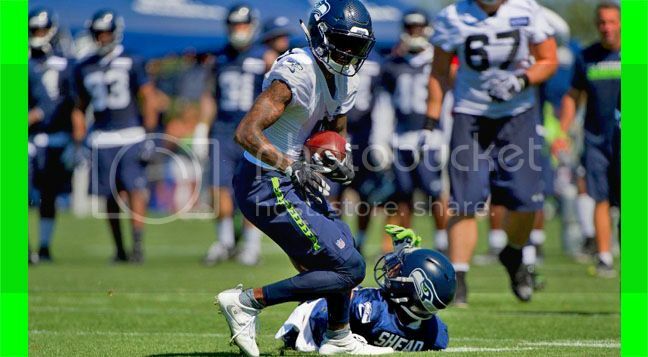 Glad it's only camp & shorts because Shead keeps getting beat like a used drum. He's spending a lot of time on the grass. Get the man some Tide. Do you guys not discuss preseason games? We hardly discuss regular season games unless its a crazy game. I think most of us wait till its over then complain about everything that went wrong. You'll find more of our discussion in the H.O.T. thread. This is more just for camp pics and whatnot. Like SupeR said, we don't have a ton of in-game discussion. Most of us post a summary of thoughts post game. 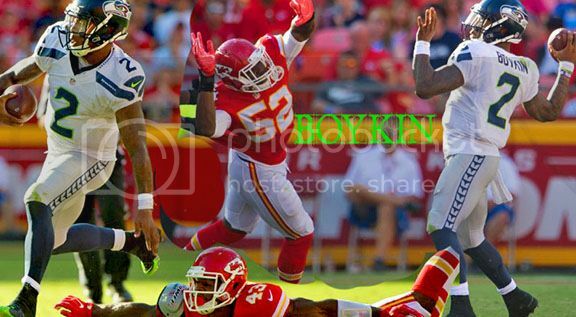 Boykin sure looks like RW in stills when RW was a pre-season rook. 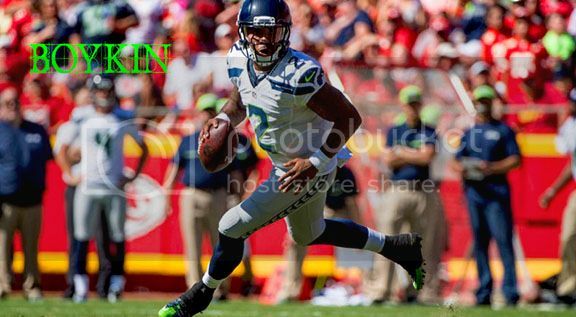 With similar traits, Boykin should win the backup role. Are there any other guys that could steal the backup position? Play the 2nd half in week 3 and another half in week 4 & we'll have a better idea. 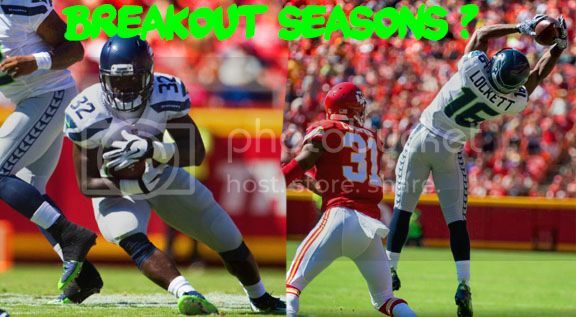 With Michael & Lockett taking another step up in 2016, this could be a 30 pt/gm team. Pre-season or not, it was an exciting ending. McEvoy goes from DB to WR? PC sure does like moving guys around looking for versatility and a certain skill level. Hey guys how serious do you think Christine Michaels is? I'm thinking of taking a flier on him in a cap league. He's cheap around 1300 opposed to rookies that are at cheapest 1500 and other guys that are in the 1800 who wont see the ball. Definitely worth the price of admission. Ultimately, I think Michael's presence does more to hurt Rawls value than it does for any standalone value, but he's a guy the coaching staff would certainly like to see succeed. If Rawls goes down, he's a legit RB1. I'm assuming Alex Collins is going for ~1500, and I would MUCH rather have Michael. Collins is essentially insurance in case Rawls gets hurt. Thanks man, definitely adding him to my projected roster and grabbing him as my 5th back. Hopefully someone doesn't beat me to the punch. I missed out on Lockette unfortunately. I do have RW3 manning my squad though. Hoping to land Seattle defense as well. I may as well become a Seattle NFC fan haha. Wilson is a legitimate threat for QB1 this year. I understand Tanner McEvoy is on your preseason roster. How is he doing? I always got a kick out of his versatility playing WR/TE and safety at Wisconsin. I think he's looked really good in a limited capacity. 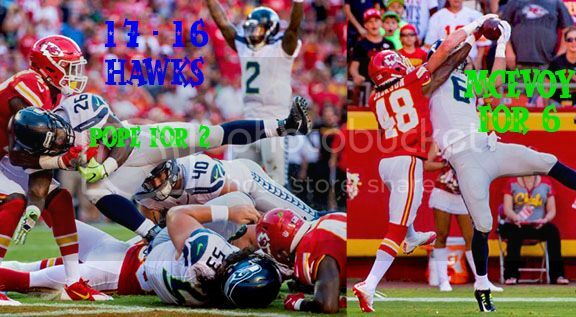 You may have seen him catch the game winning TD against the Chiefs Week 1. He's certainly not a guy that would ever be a starter, but he's a nice role player on deep ball 1-on-1 situations. I'm personally hoping he makes the team over guys like Kasen Williams and Kenny Lawler because he's certainly shown the most in games, though I believe I'm in the minority on that opinion. McEvoy is a bubble player but if he shows in the 2nd hf vs Dallas and week 4, he'll be in. That is the attraction of free agents to the Hawks. If you compete, work hard & produce, you'll make the squad. I'd have no problem with McEvoy. Never know when we'll need an AR hail mary.